Moscow resident Boris Drozdov, 78, whose father and grandfather were repressed under Stalin, talked to Russia Beyond the Headlines about his family’s survival. About ten years ago, Boris Drozdov began researching the fates of his grandfather, Alexei Drozdov, a lawyer and a Bolshevik, and his father, Pavel, an accountant who spent more than a decade in the Gulag. Documents were scattered all over the former Soviet Union, but he was assisted by the group Memorial. Like so many others, Boris’s grandfather was accused of counter-revolutionary activities in the Crimea. In 1921, 18 days after his arrest, he was executed. His father, Pavel Drozdov, started to work at the age of 15. “He worked as a male nurse and an errand boy, wherever he could find a job,” Drozdov recalled. Of course he too was arrested in June 1924. The charge was the same, conspiring to overthrow the government, and he was sentenced to three years in a labor camp. Released in 1927, he stayed on, like many other former prisoners, to build the local paper plant, where he worked as an accountant. “I think this is why my father survived,” Boris said. Once his father had finished the job, they arrested him again in 1938. 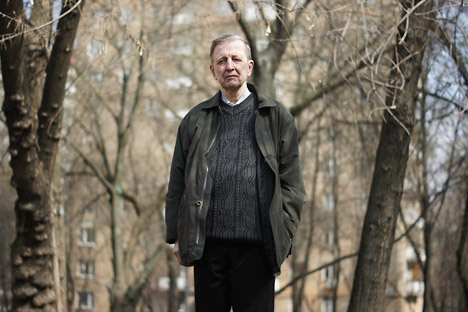 “I learned that my father was alive only in 1951, when he was released,” Boris Drozdov recalled. In 1956, three years after Stalin’s death, Boris’s father was rehabilitated.